Take bear to the above string. This level has medium difficulty. 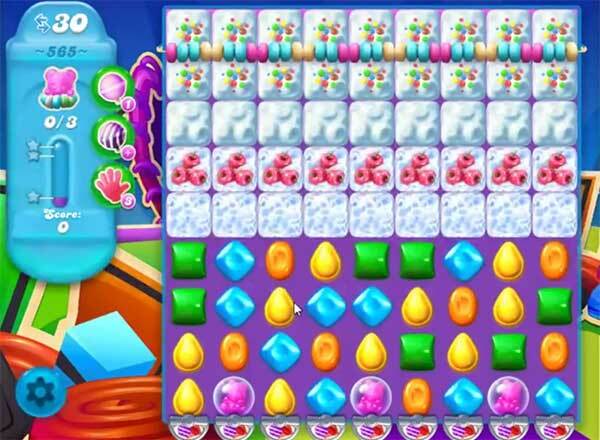 For this level try to play above the soda to shuffle the candies plus it will help to break near blockers. Try to make special candy and combine with each other to break blockers. Or play above the bear to take them to the top. I got this in ONE move and it listed me as number 7. How can that be?